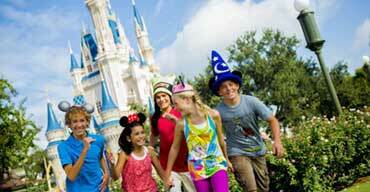 Make all your dreams come true at Walt Disney World. Booking an Orlando vacation couldn’t be easier with Reserve Orlando. 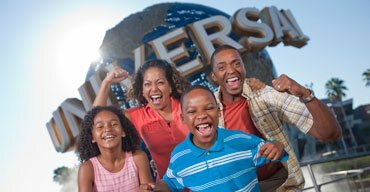 We’ve got the best deals on Disney World tickets, Universal Orlando, SeaWorld, LEGOLAND, and all the other Orlando theme parks and attractions you love. Not to mention affordable hotels and resorts. Our e-tickets make traveling easy – print at home and head straight to the box office or front desk. No hassles and your reservations are 100% guaranteed. Tripster Orlando coming soon! Select Attraction Adventure Island Tampa Andretti Indoor Karting & Games Aquatica - SeaWorld's Waterpark Boggy Creek Airboat Rides Busch Gardens Tampa Chocolate Kingdom Factory Adventure Tour Clearwater Marine Aquarium Crayola Experience Dinosaur World Florida Discovery Cove Orlando Disney World® Theme Parks Escapology Everglades Tour Exploration Tower at Port Canaveral Explorations V Children's Museum Florida Adventure Tour Forever Florida - Explore the Wild Fun Spot America Theme Parks Gatorland Gatorland Night Shine Tour Gatorland's Screamin' Gator Zip line with Free Gatorland Park Admission GatorWorld Parks of Florida Go Orlando® Multi-Attraction Card Horse Riding Orlando I-Drive NASCAR iFly Orlando Jet Skiing, Kayaks & Stand Up Paddleboard Rentals with Buena Vista Watersports Jungle Adventures Nature Park & Zoo Kennedy Space Center Visitor Complex LEGOLAND Florida Resort Limousine Character Dining Machine Gun America Madame Tussauds Orlando Miami Seaquarium Orlando Balloon Rides Orlando Multi-Attraction Explorer Pass® Orlando Tree Trek Adventure Pirate's Cove Adventure Golf Pontoon Rentals Revolution Off-Road Mucky Duck Revolution Off-Road Target Archery Revolution Off-Road Trophy Bass Fishing Revolution Off-Road-ATV Off Road Experience Ripley's Believe It or Not! Orlando Odditorium SEA LIFE Orlando Aquarium SeaWorld Orlando SKELETONS: Museum of Osteology Suhls Rodeo Tampa Bay / St. Petersburg Speed Boat Adventure Tour Tandem Hang Gliding Flights The Florida Aquarium The Wheel Titanic ~ The Artifact Exhibition TreeUmph! 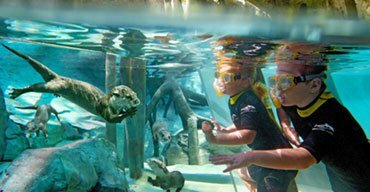 Adventure Course - Bradenton Universal Orlando Resort Waterski, Wakeboard, & Tubing Charters with Buena Vista Watersports Wild Florida Airboats WonderWorks - Orlando Zoo Miami ZooTampa at Lowry Park! Bianca wrestles an alligator at this fun Orlando attraction. Get your skydiving thrills without leaving the ground. 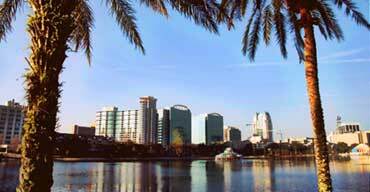 Orlando makes the ideal vacation destination year-round. The average monthly temperature never dips below 70º and it’s only a one-hour drive to destinations like Cocoa Beach, Daytona Beach, and Cape Canaveral. With attractions like famous Walt Disney World Resort and Universal Orlando Resort, it’s no wonder people travel from all over the world to visit Orlando, Florida. 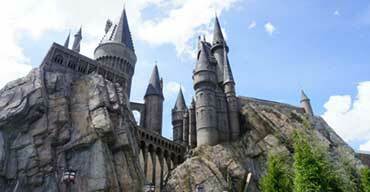 Visiting Orlando theme parks can become expensive once you get all those souvenirs and sample all that delicious food. That’s why we offer the guaranteed lowest rates on all Orlando lodging. 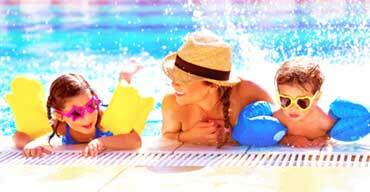 Find resorts conveniently located right next to Disney World or Universal Orlando. We also have plenty of vacation homes to pick from if you’re looking for more space. Everyone should experience Walt Disney World Resort at least once. It truly is a magical place. 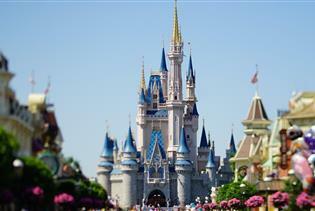 But there’s more to Orlando than just Walt Disney World Resort. From other great theme parks like Busch Gardens Tampa and SeaWorld Orlando to attractions like Kennedy Space Center and Gatorland, Orlando is the ultimate vacation destination. And make sure to take in one of Orlando’s great dinner shows like Medieval Times or Pirate’s Dinner Adventure. And there are always free things to do in Orlando as well, so let’s pack and go!